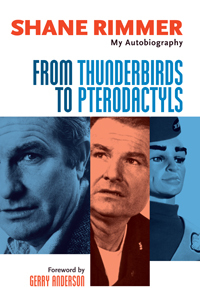 Shane Rimmer’s voice is familiar to millions from his role as Scott Tracy, the pilot of Thunderbird 1, but there are many other facets to his remarkable career. Equally at home in Star Wars or Out of Africa, Shane’s talents as a character actor have been called upon by some of the film industry’s leading directors. 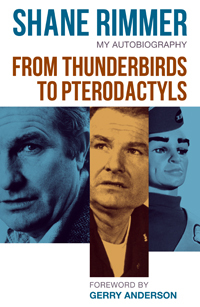 This wry and refreshingly frank autobiography sheds new light on some of the best-loved films and television series ever made, as well as revealing what life is really like for a jobbing actor in the sometimes less than glamorous world of showbusiness. 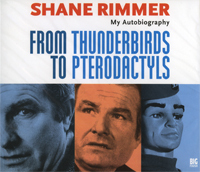 Copies of the hardcover edition, signed by Shane Rimmer, are available direct from Signum books. The price includes postage, optionally with registered mail, and packaging in a secure cardboard mailer.